Energy management improvements can be an overwhelming task. With deferred maintenance backlogs and aging infrastructure, not to mention limited capital, it can be difficult to know where to start. 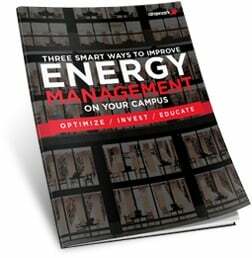 This introduction to energy management strategies for college campuses can help streamline that process. Stop watching money go down the drain. Get your guide today.